Every month we spend an evening scouring the pages of the latest issue of Previews and pick the titles we are looking forward to the most. This month it's the October issue which includes comics scheduled to ship in December 2018. Kenny J: The quick pitch for Prodigy reminds me of the long-absent Ignition. The multitalented and polymorphic dealing with the occult, although this time all rolled into one individual. 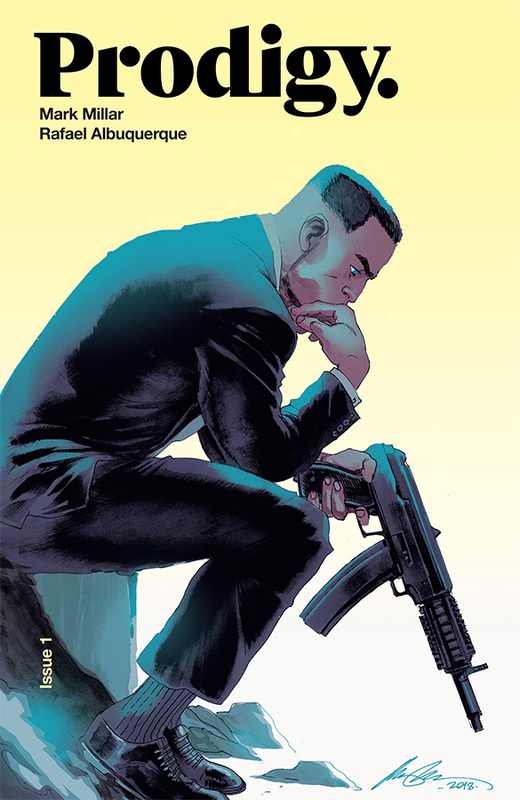 This is sure to have a very different tone as it is being written by Mark Millar, someone who is known for his high concept books packed full of action. The factor that drew me to this new title from Image is that all these guts and ghouls will be drawn by one of my top artists, Rafael Albuquerque - also, there is the fact that this is the second story to be released under Millarworld’s Netflix deal. The concept of the first, The Magic Order, fantasy-based as it was, never really grabbed me, but with its promise of paranormal and secret agents, Prodigy is something I want to be in at the beginning for. Jo S: Ah, tech support! Those denizens of the crowded office full of cables and keyboards and boxes of non-functioning wizardry, unloved and unappreciated but for those few seconds between clearing out the biscuit crumbs that were jamming the @ key and the complainant returning to their job and forgetting entirely the hero who saved their working day… In a future where humanity’s needs are met by a godlike AI, we’ll still need that tech support, and that’s where hero Cassandra comes in. 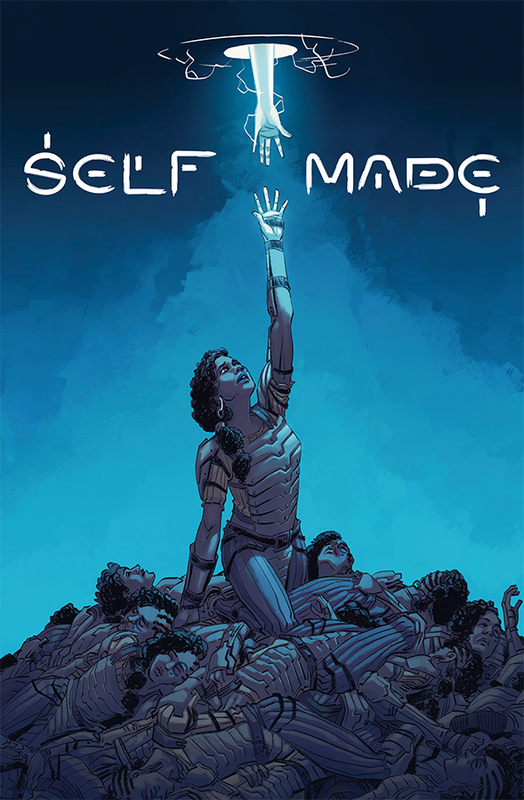 I love a good nerd-turns-hero tale; combine it with deified machinery and a strong female lead and I’m hooked. 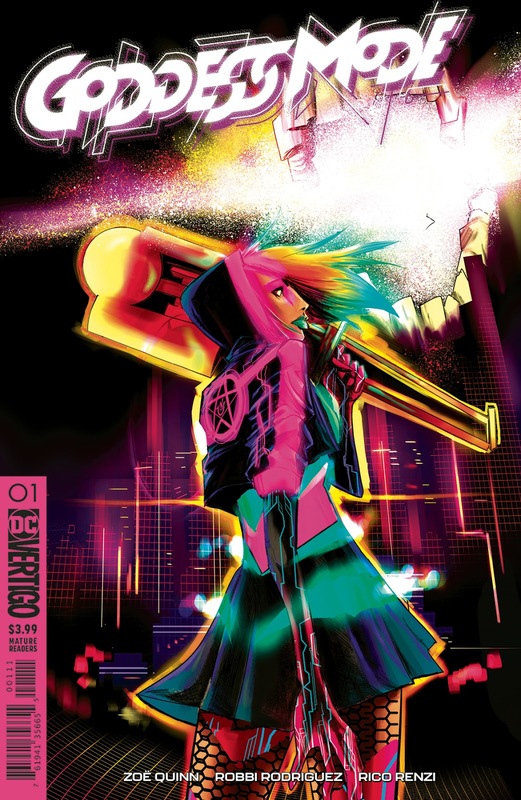 A story like this from Vertigo holds plenty of potential and Quinn’s background in game design adds something extra to the promise of a ‘magical girl cyberpunk’ story. Andy H: Before I even knew what the story premise was, I knew I'd be picking up this new title. Kieron Gillen (Young Avengers, Wolverine: Origin II, Wicked & Divine, to name but a few) has been on my reading list more than once. Throw in the gorgeous art of Stephanie Hans and we have an awesome looking creative team. Then there's the story. Who doesn't love it when a group of role-playing teens get whisked away to... well, we don't know yet. In 1991 they disappear without trace, returning two years later, offering no explanation. Now in 2018, the 40-somethings discover their adventures aren't over. This is being described as a pitch-black fantasy and it's already got me eagerly looking forward to this first oversized issue. 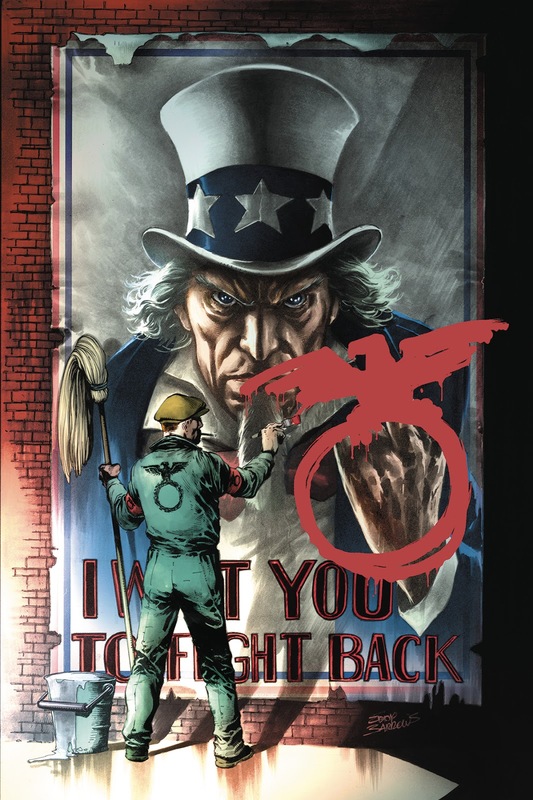 James R: I'm one of the people that fondly remembers Grant Morrison's hugely ambitious Multiversity event, and so my eye was immediately drawn to the Freedom Fighters miniseries. Set on Earth-X, home of the Nazi Superman who helped the Third Reich win World War 2, this series picks up the adventures of the superhuman resistance fighters against the occupying German force. Written by Robert Venditti and art from Eddy Barrows, this looks hugely promising if - like a good few of the PCG - you can't get enough of WW2-inspired tales. Matt C: It's the preview art that got me on this one - it looks ancient and majestic, a fully realised world to dive into. 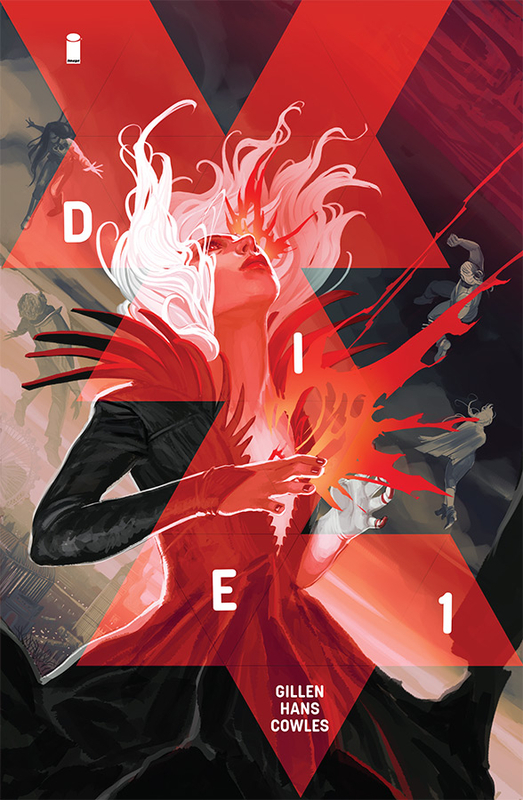 I know neither of the creators involved here, but Image have an exemplary track record for finding new talent, and plenty of the writers and artists working for the Big Two started off with creator-owned projects at the publisher. There's a lot of stuff to choose from these days, and plenty of concepts that don't quite deliver, but this one has writer Kyle Higgins (C.O.W.L., Magus) in an editorial role, so if this book's worth his time there's a damn good chance it's worth our time too. 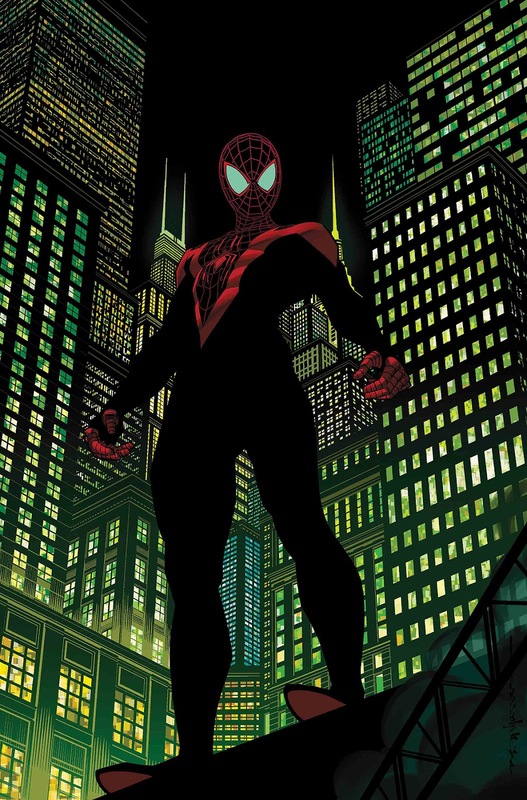 Jo S: Miles Morales is seeing a huge hike in interest this year culminating with incoming Spider-Man: Into The Spider-Verse animated movie which is already drawing a good deal of attention. From the PCG’s corner of the world, glimpses of the project so far look very positive, and if that didn’t give me sufficient appetite for a comic series with Miles on the cover, then the creative line-up surely does. Saladin Ahmed’s sci-fi chops put him high on my list of writers to take note of, and I’ve raved at length about his work on Black Bolt: combining him with Javier Garrón, whose crisp bold artwork complemented Matt Rosenberg’s quippery so aptly on Secret Warriors, makes this a cast iron guarantee for my list. James R: This is an obvious pick for me. The latest offering from Jeff Lemire's superb Black Hammer universe, Cthu-Louise is a one-shot examining one of the remarkable characters from the Sherlock Frankenstein series. Despite the fact that she was spawned by the emissary of a Cthulhu god, Louise just wants to fit in like most teenagers. Lemire is a master at pulling on the heartstrings, and with art from Emi Lenox, I can't wait to see what happens in this one-shot issue. James R: The reason why I'm picking this up can be expressed with an acronym: C.O.W.L. This new five-part miniseries focusing on Bucky Barnes is created by two-thirds of the creative team behind the brilliant (and in my view, criminally under-appreciated) series C.O.W.L. 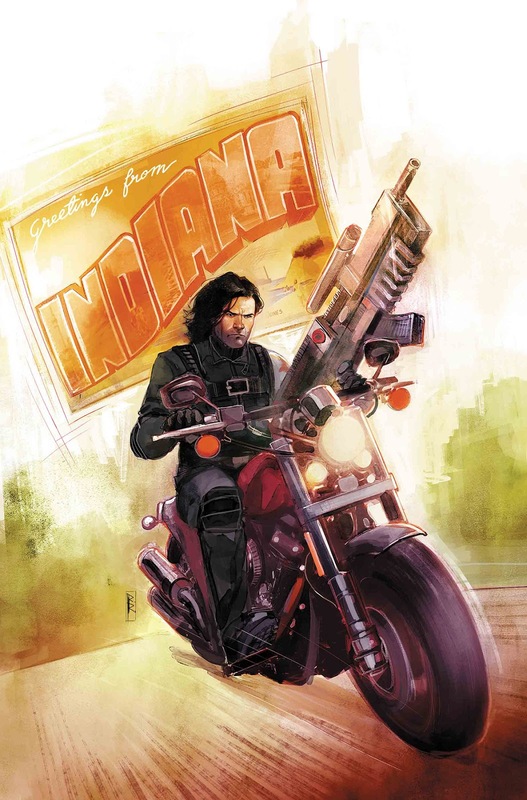 The ever-dependable Kyle Higgins provides a tale of the Winter Soldier looking to help others with shady pasts leave the life of crime. Illustrated by Rod Reis, these two working together again meant this was an obvious pick - I would read a Forbush Man series from these two! Kenny J: I didn’t read DC’s Dark Knights: Metal or any of the tie-ins to the 2017 event but the striking, skeletal image of that adorns this cover is enough to sell me on this character. 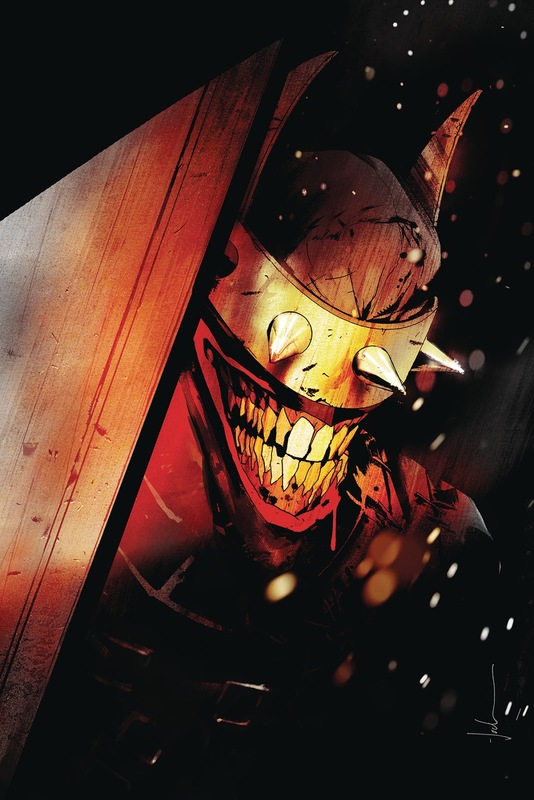 Part Batman, part Joker, part Judge Death and adeptly rendered by Jock, The Batman Who Laughs brings us a Bruce Wayne stripped of his moral code unleashed on the streets of Gotham, written by Batman alumnus Scott Snyder, a creator who excels at the more horrific parts of the Dark Knight's world. Jock will also be providing interior art. When these two worked together on Detective Comics they brought us some of the best Bat stories of recent years. I’m hoping this is another one to add to that list. Matt C: Movie fans may know Macon Blair as a frequent collaborator with director Jeremy Saulnier (Blue Ruin, Green Room, Hold The Dark), or his own directorial debut effort, the excellent I Don't Feel At Home In This World Anymore, and therefore should be excited to see what he can bring to a different medium. A cross country hobo adventure (a phrase I never expected to type!) 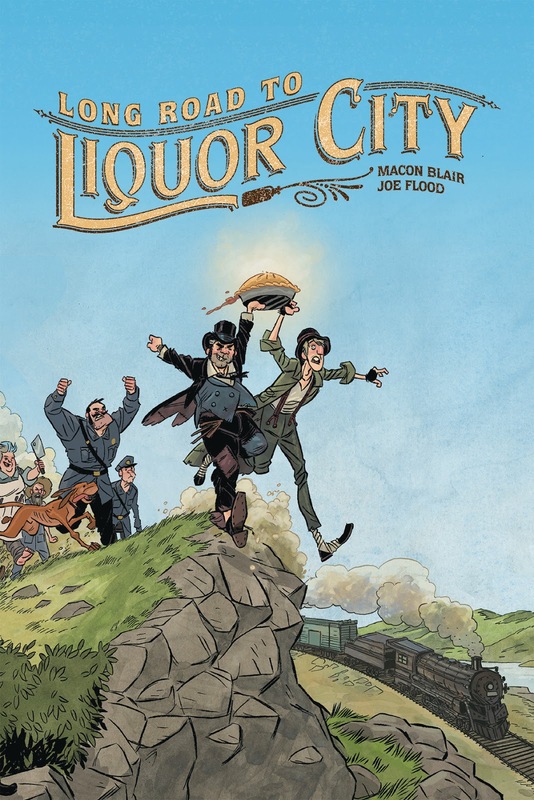 set in the Great Depression, it sounds like a very specific, personal project that will no doubt have some important things to say about big themes underneath the comical mayhem, and with Blair's pedigree and some appealing art, this seems like a sound investment.